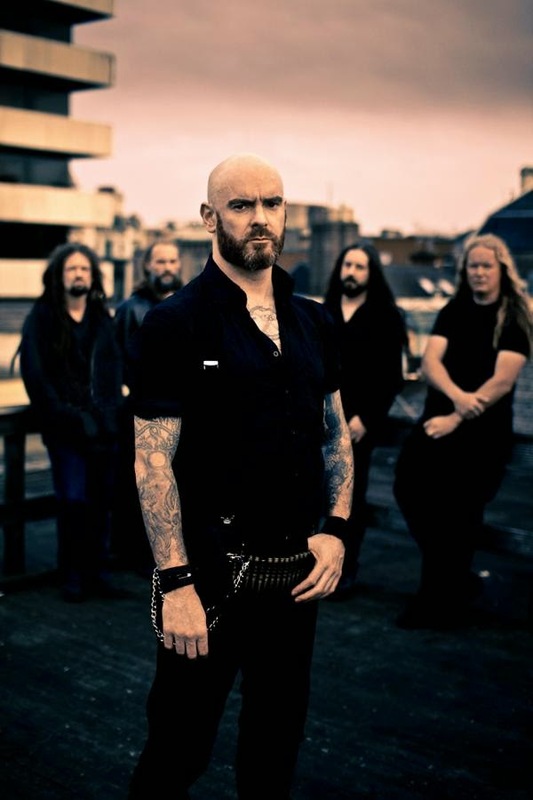 which they have founded with their sophomore effort A Journey's End and perfected with each release since then. 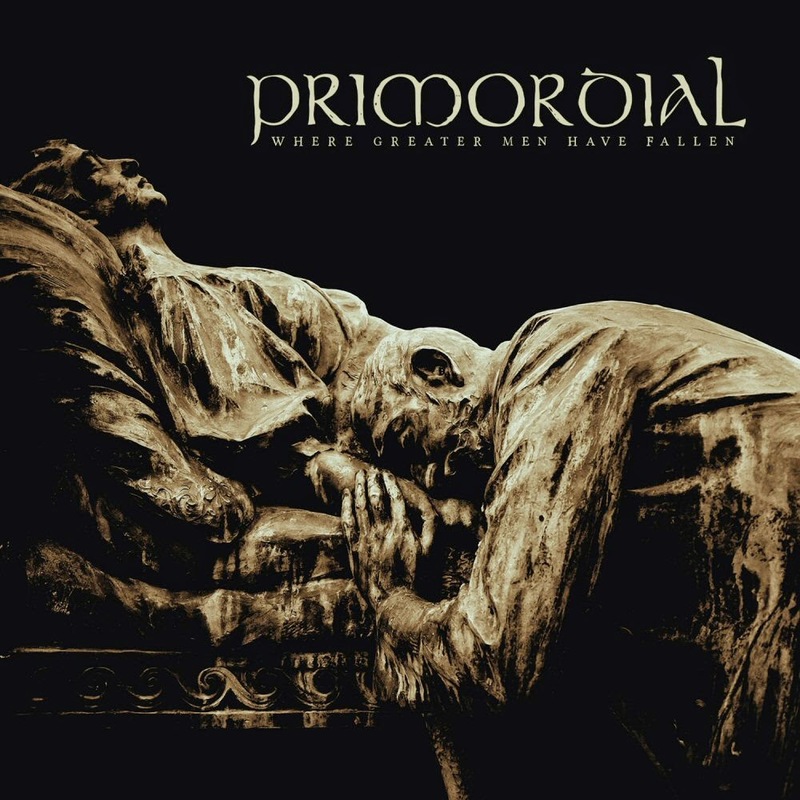 While me and some of the other fans of the band alike believe that they have peaked with To the Nameless Dead, Primordial still delivered a quite solid successor in the form of Redemption at the Puritan's Hand. Now the question is how long can they remain viable? That I don't know but they are still quite flawless and interesting with this record, at least to my ears. Although the title track which is also the opener bears the hallmark of the openers of their previous two records in the manner of standard verse-chorus-verse form it isn't as varied and majestic as "Empire Falls" or "No Grave Deep Enough". So, it ends up being a bit monotonous. "Babel's Tower" almost channels the opening riff of Mayhem's "Freezing Moon" by slowing it down to a more doomy pace and it sounds quite awesome. The riffing halfway through gets even heavier and doomier and then you're in for a folky interlude and a breathtaking solo which features some great heartfelt shredding. "The Seed of Tyrants" is pure savagery as it recalls Primordial's absolute black metal moments from Imrama and Storm Before Calm although the vocals of Nemtheanga remains within his latter cleaner territory with some harsh yelling in parts instead of pure black metal screaming. melancholic in nature instead the verse riff sounds sinister if anything and it maintains this brooding vibe throughout even during the folky bridge section. "Wield Lightning to Split the Sun" ends the album on a high note as it recaptures the epic vibe of Viking/Nordic era Bathory much like the closer of their previous record. While Where Greater Men Have Fallen is not as remarkable as Spirit the Earth Aflame, The Gathering Wilderness or To the Nameless Dead it's still a quite worthy addition to their glorious, near flawless catalogue and also a big relief for Nemtheanga fanatics who were a bit disappointed by his recent inconsistent outings with Twilight of the Gods and Dread Sovereign.